*Bill Cosby’s contribution to black history may not be displayed in a major way at the National Museum of African American History and Culture, but that hasn’t stopped some of the women accusing the embattled funnyman of sexual assault from leveling criticism at the facility. The New York Times reports that the criticism stems from complaints from several of Cosby’s accusers that the museum does not plan to mention their accusations in in an exhibition titled “Taking the Stage.” Cosby’s pioneering work in comedy and television will be recognized in the exhibit along with the work of other popular entertainers. “If they just speak about the contributions, there will be this enormous presence that is not talked about,” Patricia Leary Steuer, 59, told the Times on Saturday (Mar. 26). Steuer has accused Cosby of assaulting her decades ago. The National Museum of African American History is set to open in in September on the National Mall in Washington. More than 3,000 artifacts will be displayed. The museum’s director, Lonnie G. Bunch, voiced the challenge the museum has in seeking a balance with showing personal suffering and acts of oppression as well as the great achievements and resilience that constitute the African-American experience. With this, given the subject matter, Bunch stated that he understands everyone will not be happy with all decisions made by curators. Regarding Cosby’s inclusion in the exhibition with other popular entertainment figures, the museum’s curators stated they felt the 78-year-old comedian’s achievements should stand alone. 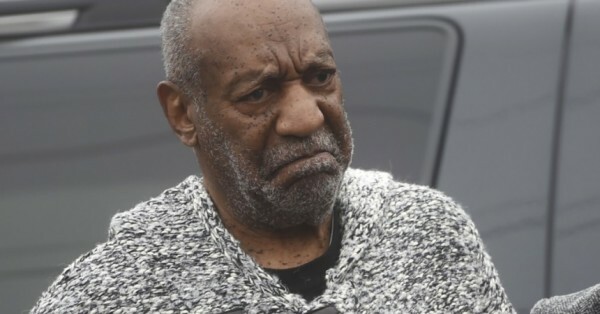 Since the accusations surfaced, Cosby has denied them. The museum’s struggle to handle Cosby’s legacy is among the difficult decisions it faces while trying to tell the story of black history and culture in America, the Times notes, adding that the museum’s 11 inaugural exhibitions will focus on slavery, segregation, music and the military, among other things. For Kristina Ruehli and Beth Ferrier, the most suitable option for the museum is to include the accusations against Cosby if curators go ahead with plans to include him. Both women, who also accused the entertainer of assault, feel Cosby doesn’t deserved to be celebrated. The drama over acknowledging Cosby in a museum setting isn’t new for him. Last year, the Smithsonian Institution faced questions when its National Museum of African Art featured works on loan from the substantial art collection of Cosby and his wife, Camille. Ultimately, the Smithsonian put up a sign telling visitors that the museum did not condone the behavior Cosby is accused of engaging in. Compared to the previous situation, Smithsonian officials have said the situation at the new history and culture museum is different in that Cosby’s presence in its exhibition will be minimal and that he has not donated money or objects to it.